When you integrate your Smith.ai Chat account with your Capsule CRM account, the web visitor's contact information and their chat transcript is added as a new task immediately after the chat has ended. From there, you can associate the chat with a contact, opportunity, or case. 1. Once you have a Smith.ai Chat account, log in at app.smith.ai and go to https://app.smith.ai/chat/integrations. 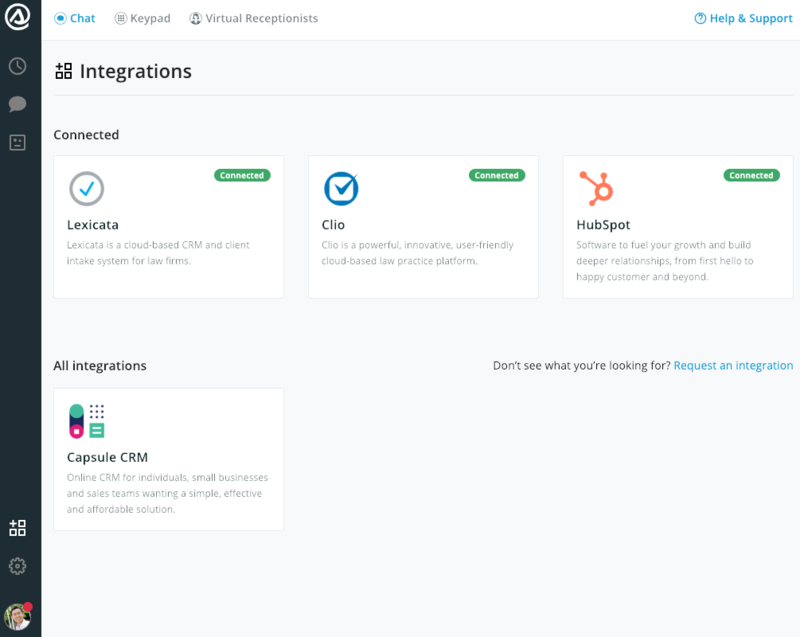 Under "All Integrations," click on Capsule CRM. 3. Review the add-on fee (at the time of writing, $.50/chat) and click "Add to plan" to accept the fee and continue with the integration. 4. 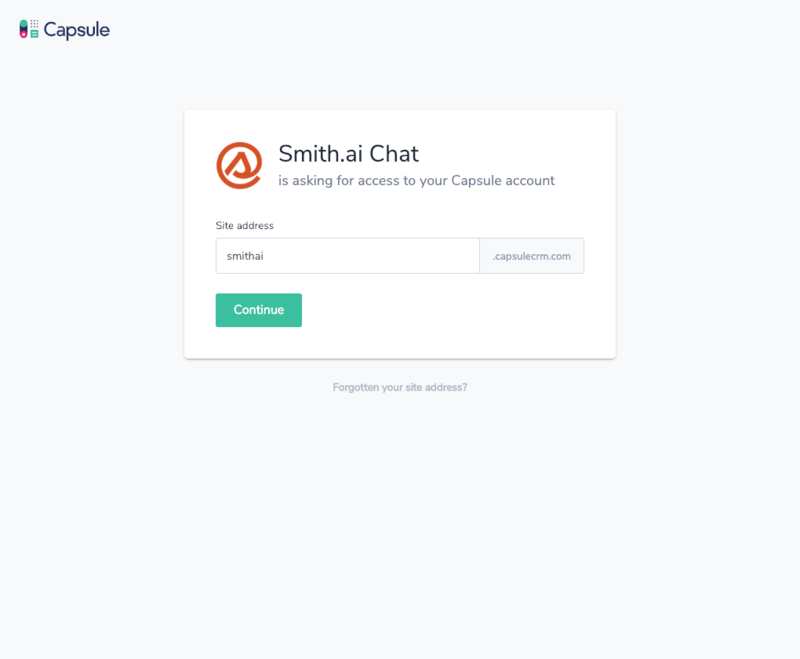 Click "Continue," and then "Allow," to give Smith.ai access to your Capsule account. That's it! 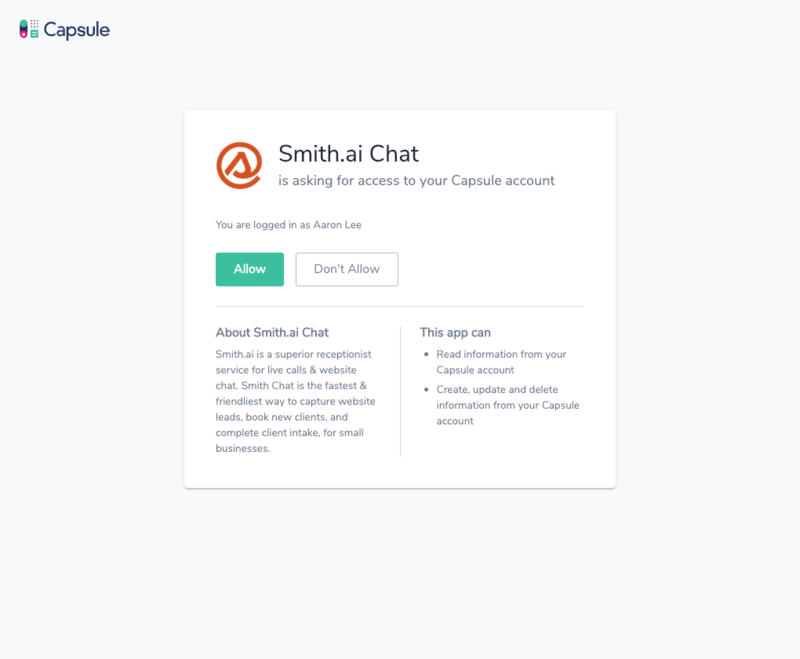 Once your account is successfully connected to Smith.ai Chat, you'll see Capsule CRM listed under the "Connected" category within the Integrations menu. 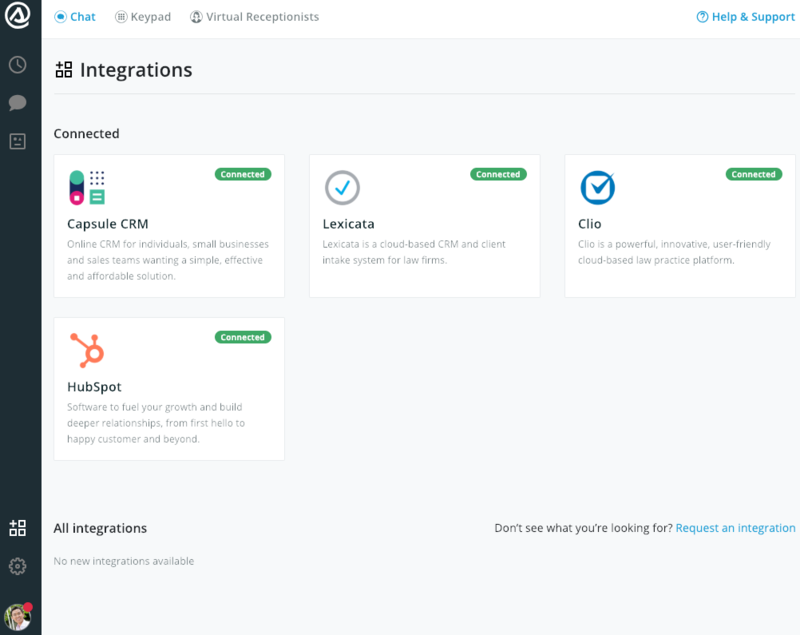 You can connect or disconnect integrations at any time. 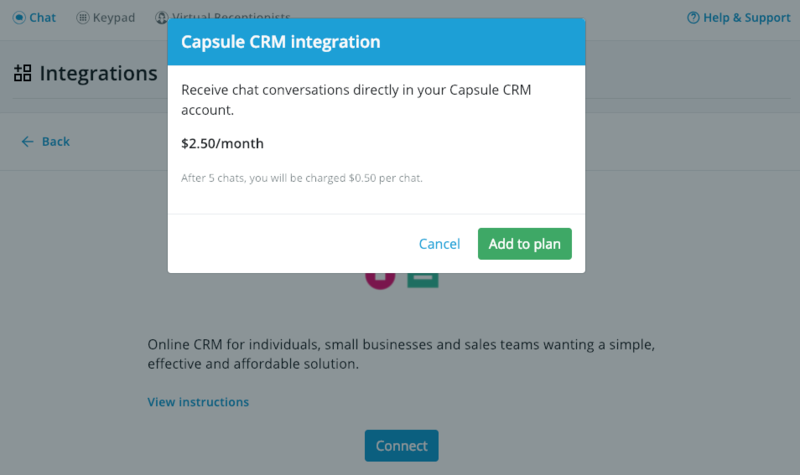 Capsule CRM is just one of the integrations that we have enabled for Live Chat. From CRMs to online calendaring programs, we build integrations based on client demand. Please take a look at all of our active integrations here, and then if you don't see the program you use, request a new integration. We will do our best to implement it for you! 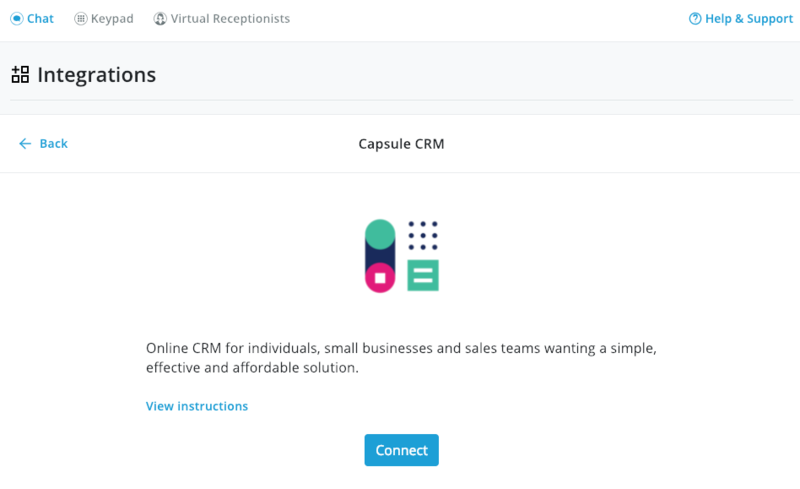 Would you like more information on the Capsule CRM integration before you get started? We're here to help you get the most out of your Smith.ai receptionists through smart software integrations and workflows. Please get in touch with us at support@smith.ai or call us at (650) 727-6484. We're here Monday through Friday, 5am – 6pm PT / 8am – 9pm ET.